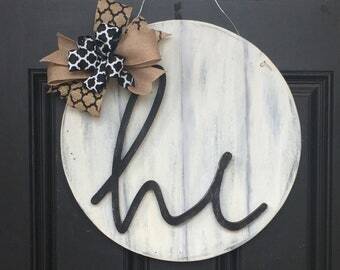 Introducing our new script font monogram circle door hanger. 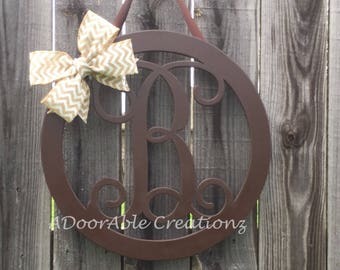 This circle monogram door hanger is the perfect addition to your home. 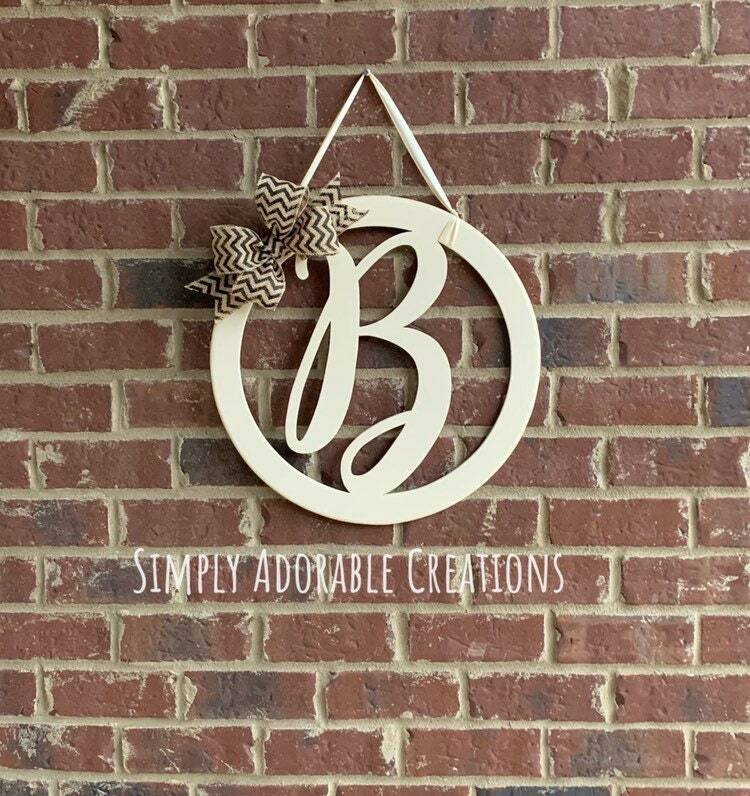 Each monogram is hand cut, sanded and painted with your choice of paint color. 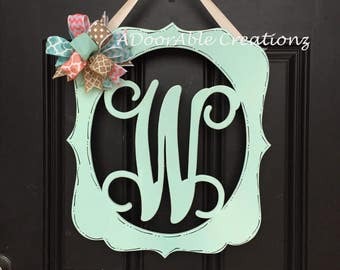 In addition, the door hanger can be further customized with the bow color of your choice. These are beautiful for your wall, front door, over a nursery, weddings, showers, in an office, housewarming gift, graduation gift, etc. 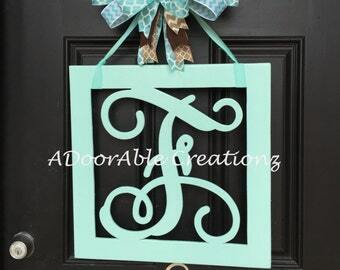 These quality door hangers are strong, sturdy, durable, and easy to hang. Coordinating bow is included. If you want a specific color bow, please include the bow color choice in the notes of the order. If you do not want the door hanger to have a distressed look, please indicate this in the order notes. You can choose any letter. Please select a color choice at checkout in order to prevent delays. Each piece is sealed and is perfect for indoor and outdoor use. Current processing time is 3 weeks. This does not include shipping. Every effort is made to provide you with a quality product in a timely manner. If you have a specific deadline, please let us know. 1. 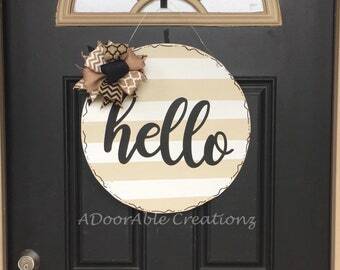 Place this door hanger in your cart. "Signing up for the extra bow "and the color choice. Please visit the Simply Adorable Creations facebook page and like it to stay updated on new designs, giveaways, and special offers. Love how this came out! Makes the front of our house look complete! A little pricey but made with care, worth the cost to me! Thanks so much! !